Pharm. 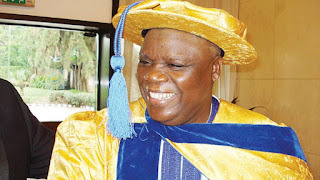 Ahmed Yakasai,President, Pharmaceutical Society of Nigeria (PSN) was on Monday, appointed as the Grand Patron of Pharmaceutical Association of Nigerian Students (PANS), Bayero University, Kano(BUK). A statement signed by Yakasai made available to INDEPENDENT said that the PSN President was conferred with the position in his Kano office. “The Executive members of PANS, BUK led by Prof Basheer Chedi (Patron), Dean, Faculty of Pharmaceutical Sciences, BUK and Prof Ibrahim Adamu Yakasai (Patron), Head of Dept. Pharmaceutical Chemistry and Drug Development visited my office in Kano for the conferment the Pioneer Grand Patron of the Association. “It is extremely an honour and a blessing to be recognised. In accepting the responsibilities that the trust entitled me to lead the other Patrons, I say thank you very much for finding me worthy of this position,” the statement read.